For simplicity, all reflected rays except those in total internal reflections are ignored. 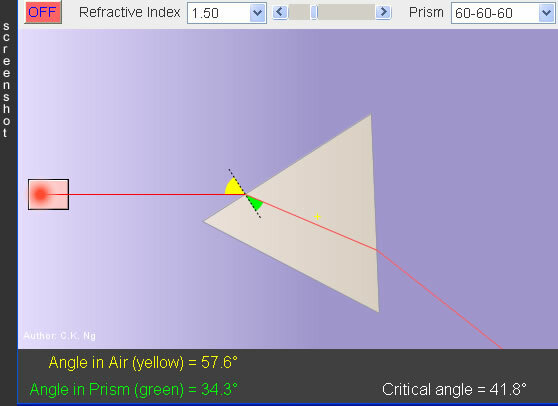 Click the place where a refraction or total internal reflection occurs, the values of relevant angles will be shown. Click again to hide the values.